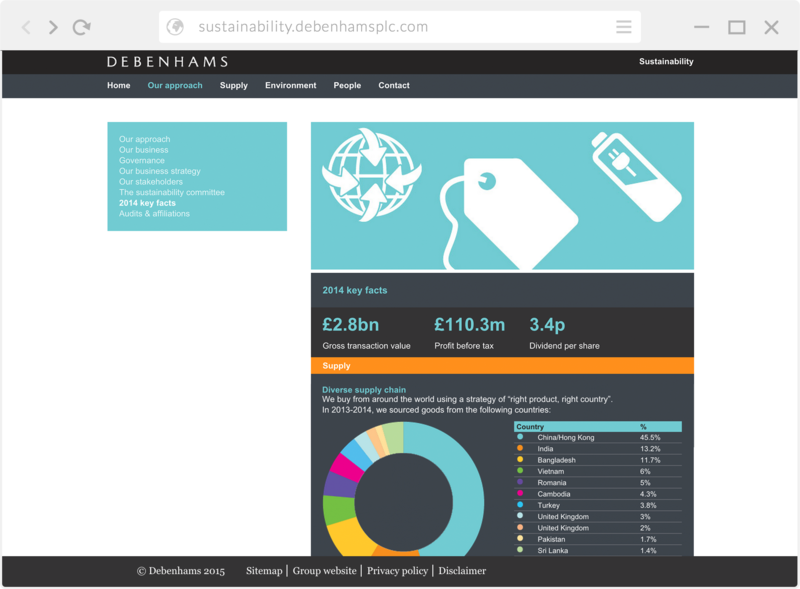 Here, is was presented the designs for each page of the hybrid website that presents the sustainability of Debenham’s PLC for 2012. From this I built the website, coding HTML before integrating into WordPress for the client to update when required. 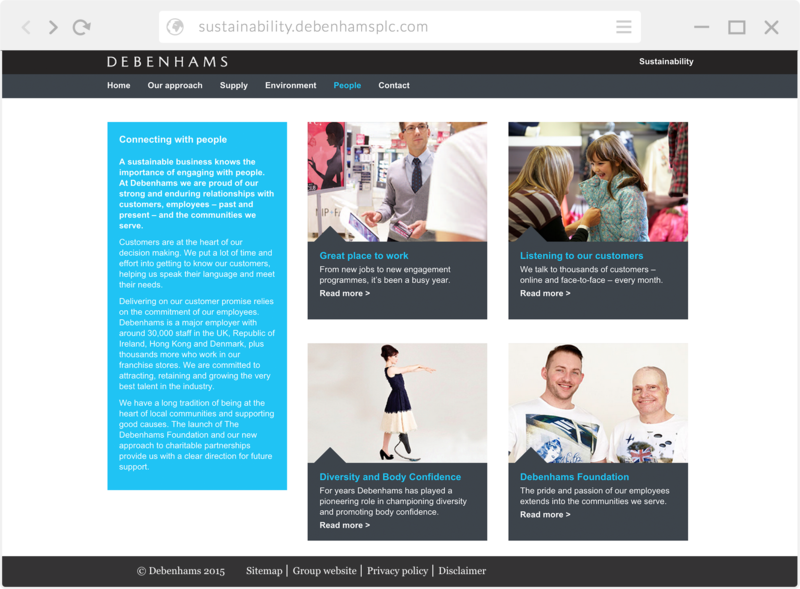 Have a look at the site: http://sustainability.debenhamsplc.com.